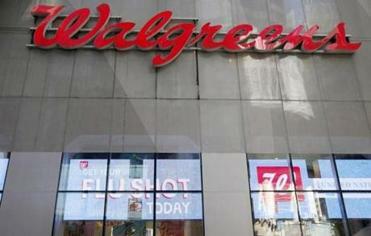 CVS could face new competition in a merger of Walgreens and Rite Aid. When the nation’s second- and third-largest pharmacy chains agree to merge, there can be only one goal: becoming number one. The company that holds that spot, as measured by revenue, is CVS Health Corp. The Woonsocket, R.I., company could soon face new competitive challenges if regulators and shareholders approve the merger announced this week of its two chief rivals, Walgreens Boots Alliance Inc., of Deerfield, Ill., and Rite Aid Corp., of Camp Hill, Pa., analysts said. The battle for customers would play out beyond street corners and strip malls, where the chains’ stores are often neighbors, and reach into the lucrative business of managing drug benefits for employer health plans and the growing market for outpatient medical services, such as store-based clinics. For consumers, the impact of the merger is still unclear. Analysts said Walgreens, which offered $17.2 billion to buy Rite Aid, almost certainly would shutter overlapping stores, particularly in the Northeast, to help achieve an estimated $1 billion in savings from the merger. The added size could give Walgreens more clout to negotiate prices with pharmaceutical companies and help hold down drug costs, some analysts said. But, Edgar Dworsky, founder of ConsumerWorld.org, a consumer advocacy website, said customers should not expect lower prices as the result of a bigger Walgreens. “If a price war hasn’t broken out with three major competitors, it’s not going to break out with two,” Dworsky said. Walgreens, Rite Aid, and CVS stores in Mass. Walgreens’ planned acquisition of Rite Aid would put the drugstore chain closer to CVS in terms of store count. CVS and Walgreens declined to comment. Rite Aid did not respond to requests for comment. The deal between Walgreens and Rite Aid, announced Tuesday, would create a company with $103 billion in revenue and some 13,000 US stores, according to financial filings. Walgreens has 164 stores in Massachusetts, and Rite Aid has 148. 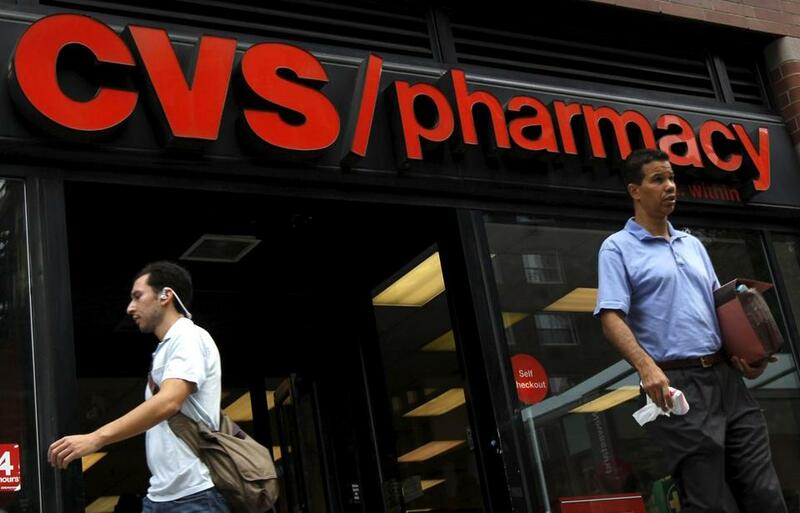 CVS, in contrast, had $139 billion in revenue last year and operated nearly 8,000 US stores. CVS is also awaiting regulatory approval for a $1.9 billion acquisition of the 1,660 in-store pharmacies of Target Corp., the Minneapolis retailer. When the deal closes, it would boost the number of CVS locations to nearly 10,000. Investors, however, reacted negatively to the Walgreens-Rite Aid merger. Walgreens stock plunged 10.7 percent Wednesday, falling $10.21 to $84.95. Rite Aid shares fell 61 cents, or 7 percent, to $8.06. CVS stock shed 1.4 percent, or $1.48, to close at $103.81. In recent years, CVS has positioned itself as a a health care company that offers broad services as it vies for market share amid significant changes in the industry, driven by the federal health care overhaul and increasing pressures to control costs. CVS offers not only pharmacy services and health products, but medical services through its nearly 1,000 MinuteClinics, which the company plans to increase to 1,500 by 2017. Vishnu Lekraj, a senior health care analyst for Morningstar Inc., a Chicago financial research firm, said that while many people view CVS as a drugstore chain, the cornerstone of its operation is its business of managing pharmacy benefits, the second-largest such business in the United States, after Express Scripts Holding Co. in St. Louis. Insurance companies and employers hire benefits managers to negotiate prices and handle drug costs on their behalf. With more than 65 million plan members, the CVS pharmacy benefits management business accounts for about 63 percent of the company’s revenue, according to financial filings. Robert S. Huckman a management professor at Harvard Business School, said the Affordable Care Act is driving all sectors of the industry to become more interested in managing the health care needs of specific populations and to offer more outpatient services, such as flu shots for the elderly. The goal is to bring prescription services, primary care, wellness, and disease management services under one roof. Doug Fleener, the president of Dynamic Experiences Group, a Lexington retail consulting group, and the former chief of retail at Bose Corp., said a bigger Walgreens could become a more formidable competitor in an industry where size increasingly matters. “It’s all about scale,” he said. But, Fleener expects CVS to continue to roll out new ways to draw customers, he said, despite pressures not only from Walgreens but from online retailers that may be selling the same products. can be reached at deirdre.fernandes@globe.com. Follow her on Twitter @fernandesglobe. Megan Woolhouse can be reached at megan.woolhouse@globe.com. Follow her on Twitter @megwoolhouse.